Master frame makers & mount cutters to the art & photographic world, for over 40 years, we offer unparalleled expertise allied with the highest standard of customer service you may deservedly expect from a family run company. Continuous investment in the latest technology & materials assures a consistently high level of product in all areas. Our comprehensive range of standard mounts & frames are complimented by a design & production service for bespoke & special requirements. Please do not hesitate to contact us for any special requests. 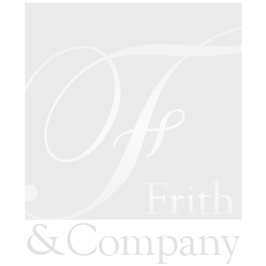 Frith and Company is a member of the Frith Group of companies. We have been using Frith and Co for several years now. The order process is simple and delivery is fast. Best of all, our customers really like their frames. Mike & Jo have been fantastic for the past 15 years. They have always been flexible and accommodated to our needs. I can't recommend them highly enough. Frith have cut us thousands of mounts and hundreds of frames over the years. They are very reliable and can do a fast turn around if needed. They are always very friendly, and it is nice to be able to talk to the same person nearly every time you order so that you feel they understand your needs. Oh yes, and the quality of mount cutting and framing is pretty good too! We would definitely recommend their services.